Meatball Day fanny packs are in by popular demand! 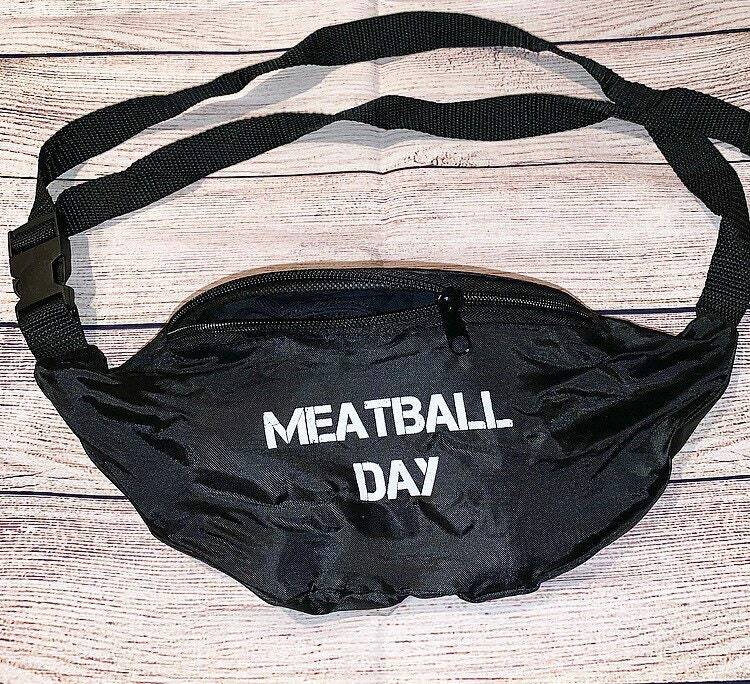 The perfect fanny packs for your Meatball Spiral day! Can fit phone, money, makeup, etc. Zippered main compartment with adjustable waist strap buckle. Polyester and easy to clean. Hand wash only.